Easy to use and a great gift. Redeemable on download stories and games from the VTech Learning Lodge navigator site for InnoTab, Storio and Mobigo…. This toy costs approximately £20.00 (for the latest and best prices make sure you check our retailer list for the VTech Download Card above). 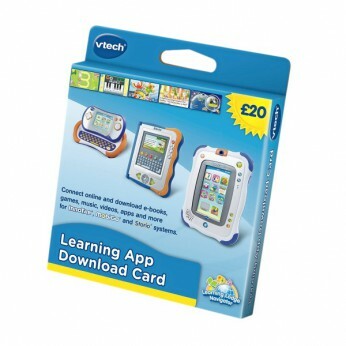 In our review of VTech Download Card we classed it as being suitable for ages 3 years, 4 years, 5 years but recommend you check the manufacturer specific advice before purchasing.